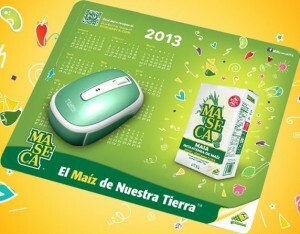 Get Free calendar mousepad for 2013. They have links for English and Spanish. Just follow the link and complete your profile! Simple freebie! Receive a free 2013 calendar mousepad! Register at Club Mi Maseca with your complete information and we’ll send it directly to you!